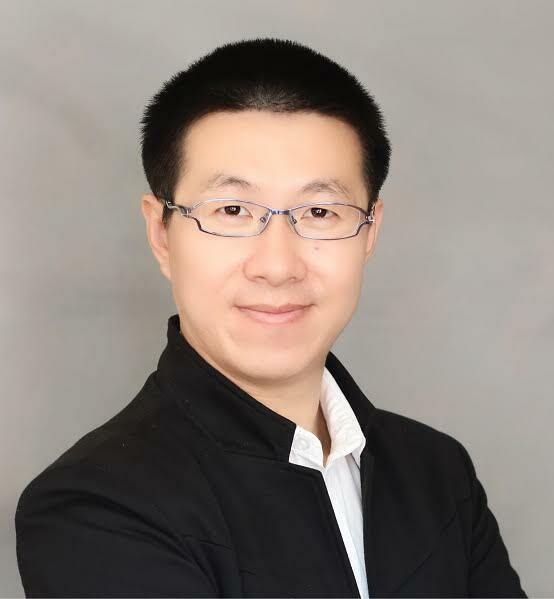 Dr. Zhen Li is an associate professor of applied mathematics (research) in Division of Applied Mathematics at Brown University. He received his Ph.D. in Fluid Mechanics in 2012 and his M.S. in Fluid Mechanics in 2008 from Shanghai University after he earned his B.Eng. degree in Engineering Mechanics from Wuhan University in 2005. Zhen Li's main research interest is on multiscale modeling and computation in complex fluids, biophysics and soft matter, using both bottom-up (coarse-grained molecular modeling) and top-down (from continuum descriptions to fluctuating hydrodynamics) approaches, along with high performance computing. His current research activities are in the fields of coarse-graining and model reduction based on the Mori-Zwanzig formalism, non-Markovian dynamics in complex fluids and non-local approaches, mathematical foundation of scale-bridging and mesoscopic methods, and machine-Learning (Gaussian/deep-Gaussian processes) applied to multiscale modeling of complex fluids, biophysics and soft materials. 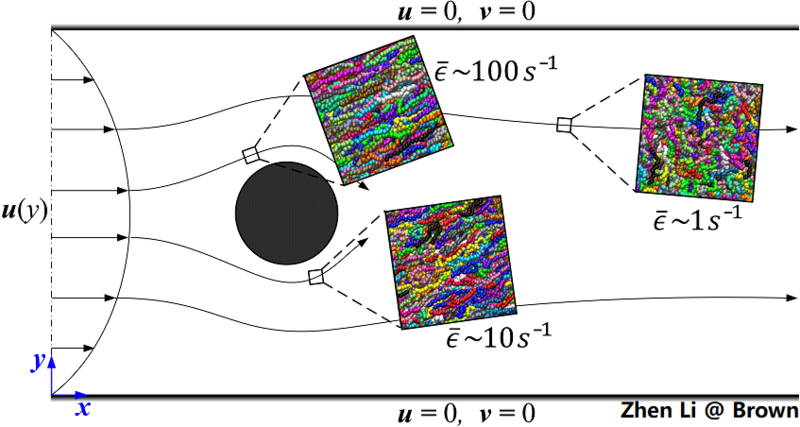 Left: 3D velocity field inside a moving droplet; Right: A “Brown Pacman” microfluidic device with complex geometry constructed directly from a vector graphics image and visualization of a surfactant solution flowing through this complex microfluidic device. 2019.1 - Present, Research Associate Professor of Applied Math., Brown University. 2018.12- 2018.12, Visiting Professor, National Polytechnic Institute of Toulouse, France. 2016.1 - 2018.12, Research Assistant Professor of Applied Math., Brown University. 2013.1 - 2015.12, Postdoctroal Research Associate, Brown University. 2012.2 - 2012.12, Postroctoral Scholar, University of California - Merced. 2005.9 - 2011.12, Research Associate, Shanghai Institute of Applied Mathematics and Mechanics, Shanghai University. 2008.9 - 2011.12, Ph.D. in Fluid Mechanics, Shanghai Institute of Applied Mathematics and Mechanics, Shanghai University. 2005.9 - 2008.8, M.S. in Fluid Mechanics, Shanghai Institute of Applied Mathematics and Mechanics, Shanghai University. 2001.9 - 2005.7, B.E. in Engineering Mechanics, Wuhan University. 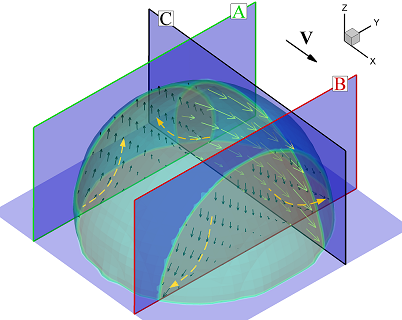 Multibody interaction among particles produces the complexity of the world. New paradigm in using machine learning for scale-bridging of non-Newtonian fluids. 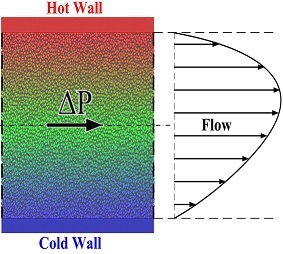 Transport properties of eDPD fluid changes with temperature in flows. Thermally induced phase transition of temperature-sensitive microgels. © Copyright 2016-2018 by Zhen Li. All Rights Reserved.